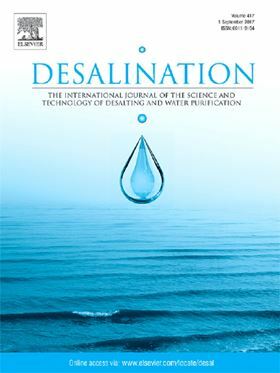 The research article 'Biomimetic membranes as potential tools for water purification: Preceding and future avenues' has been published in Elsevier journal Desalination (Volume 458, 15 May 2019, Pages 97-115). Industrialization and urbanization lead to increased generation of wastewater causing serious environmental pollution and deterioration of water quality. Membrane-based water treatment represents a major technological approach to addressing global water scarcity and environmental pollution issues. However, there has been relatively little progress in membrane technologies for water treatment mainly due to the inherent limitations of membrane materials and membrane fabrication techniques. In recent years, biomimetic membranes, such as the aquaporin membrane, have emerged as strong candidates for membrane-based water purification technology. Biomimetic approaches have the potential to overcome the problems associated with existing membranes including limited permeability, low selectivity, and excessive energy consumption. But industrial-scale defect-free biomimetic membrane fabrication remains a major challenge. Key factors that must be addressed to overcome this challenge include protein stability, membrane housing materials, and the surface chemistry and structural characteristics of the substrate. This paper reviews the state-of-the-art of membrane-based water purification technologies, summarizing the role and limitations of conventional membrane materials while evaluating the latest progress in the field of biomimetic membrane fabrication. We conclude that a thorough understanding of the relationship between substrate structure-surface properties and membrane performance is necessary for the further development and commercialization of aquaporin biomimetic membranes.